This has been brewing inside for quite a while now, but certain conversations yesterday made me decide to finally write about it. I’ve often heard people saying something to the effect of “that’s great that you care about those orphans in Africa/slavery in India/any injustice around the world, but I feel called to minister here in the U.S.” But most of those people NEVER actually do anything to fix the problems here. Or, people will say that we need to “take care of our own country first”. While that’s a great patriotic sentiment, I do not believe that it is biblical. These verses (and many, many others) do not say to focus on your country and ignore injustices around the world. Yes, we do need to care for our neighbors, but we ALSO need to be doing what we can to assist those around the world who need our help! No, I am not talking about government intervention…I’m talking about Christians stepping up to the fight. “With great knowledge comes great responsibility” is a quote that comes to mind. Thanks to the technology available to us today, we are very aware of the atrocities happening around the world on a daily basis. We see the pictures, we hear the stories, and we know the numbers. We cannot just ignore what is going on around the world as Christians. I believe that, while you may feel “called” to minister here, you also have a global responsibility as a Christian to take the Gospel to the ends of the earth and to care for God’s children all around the world. I don’t believe that God cares about borders. What He cares about are the humans who live on this earth. We know from the Bible that He hears their cries and sees their suffering. 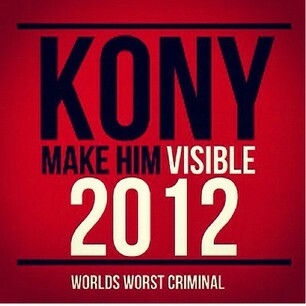 He empowers us to make a difference and to rid the world of injustice. I feel that when we say things like “let’s focus on our own country” and then don’t actually do anything IN our own country, we are being incredibly selfish. It’s just an excuse to not have to be uncomfortable. We are being Pharisees, saying all the right things but having no intention of actually doing anything. We are being lazy. We are saying that other people don’t deserve our time, resources, energy, compassion. And I believe that is wrong. This situation in Uganda/Central Africa may seem hopeless, but if we don’t try to stop Joseph Kony from abducting children and forcing them to be soldiers, who will? If Uganda had the resources to stop him, they would have stopped him 26 years ago. If Rwanda would have had assistance early on, 700,000 people may not have died. The examples go on and on…and more innocent people suffer injustices every day because we choose not to act or we aren’t aware of the situations. If organizations like Invisible Children and International Justice Mission didn’t exist, who would fight for these innocent people? These organizations have made the invisible problems of the world visible, and that’s how change happens. When people become aware of these things, they begin to care, and they begin to fight. And they can no longer just sit comfortably with the knowledge that these terrible and evil things are happening. This is an opportunity for the world to work together to make global change in how we handle injustices. This is a way to use the technology at our fingertips to forever change the world in a tangible way. Why not try? If we can win here, we can work on other similar situations and end more injustices around the world! It’s a truly exciting idea, and I think it can be very effective! “Knowledge is power” and “with great knowledge comes great responsibility”…what are you going to choose to do with the knowledge that you have about atrocities happening around the world? I’m going to choose to fight. Well said Lesa, you take the words right out of my mouth!